All games provided on the site SkidrowGameReloaded.co — are distributed by giving the user (visitor) a small torrent file (.torrent), with which you can download to your computer original game files. It is also called BitTorrent, which is an Internet protocol, with which you can download large files at maximum speed. The technology is quite interesting and very convenient, because the moment of downloading files can be paused (put on pause, then, after a time to resume from the moment you stop. How to download torrent from SkidrowGameReloaded.co? 1. You need to install a program that will work with file extension (.torrent). 2. We go to the news with the game, we are looking for a special block with a link to the torrent file. 3. Click on the «Download torrent» button, a window will appear for saving the file on your disk (specify the path and save). 4. 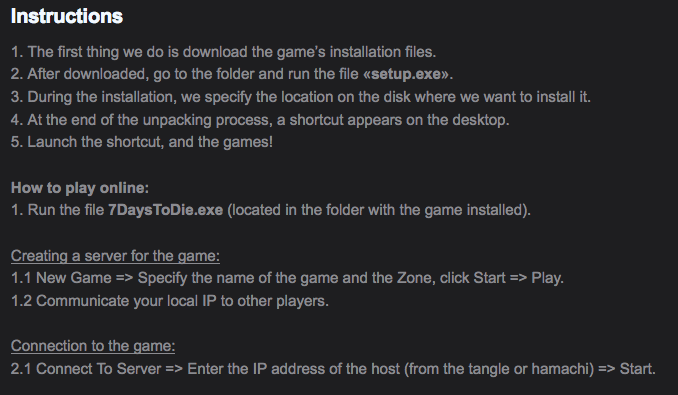 Run the previously downloaded file, run the program uTorrent, specify where to save the game files, click «OK». 5. At the end of the download process (100%), go to the downloaded game files and install according to the instructions for the game.